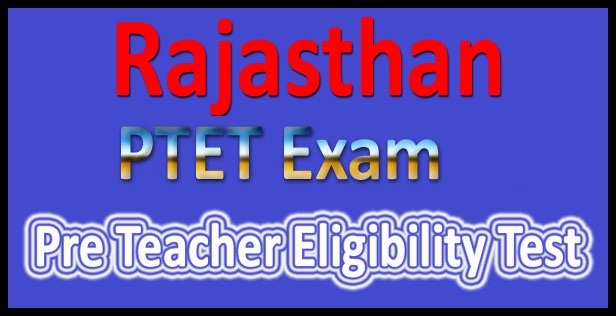 State Government of Rajasthan every year conducts Rajasthan Pre Teacher Eligibility Test (PTET) Exam 2018 for those aspirants who want to get admissions in B.Ed program. This year also Pre TET notification was announced by same university. All those aspirants who have passed Graduation or Post Graduation with at least 50% Marks applied for Rajasthan PTET Notification 2018. We know about tentative examination date of Rajasthan PTET which is 13th May 2018. Aspirants have great time gap for preparation of PTET Exam 2018. Candidates applied successfully? Then start preparing yourself for Upcoming PTET 2018, because online forms are going to end and written examination date is near yes! MDSU officials has decided to conduct written examination of PTET 2018 in upcoming month of May and Date has been set as 13th May 2018, If you wanted to check online now Syllabus then you can repeat this same only by look at below because here we have mention direct link to download online Rajasthan PTET syllabus 2018. All those aspirants who are searching for Rajasthan PTET Exam 2018 Syllabus and Exam pattern 2018 are on correct place. Only PTET Syllabus will not work, aspirants must have Previous Year Exams with solutions, various important books to clear this exam. Rajasthan PTET Exam results 2018 will be announced on 31st May 2018. PTET Exam is a state level competitive examination for admissions in B.Ed Courses. There are selected seats available and only those aspirants who will get marks more than Merit List will be able to get admission only. Students should need to revise examination previous year papers which help you a lot as well as some of Model Test papers in Hindi then you can download online PTET Syllabus pdf online with Previous year question papers with model papers as direct link mention bottom down below on this page. Rajasthan PTET Exam will be Pen and paper based examination. PTET Exam will be of 600 Marks in total. There will be 200 questions in the Examination. All questions will be Multiple Choice type. No negative marking applicable in the examination. Important points which aspirants should prepare are: Teaching Aptitude, Reasoning, Language, General Awareness, Questions based on imagination and creativity. Detailed Topics Knowledge is also must for all aspirants who are interested in taking admission inB.Ed Program in Rajasthan state. Mental Ability: 50 Questions will be asked of Mental Ability in which aspirants get questions from topic of Imagination, Generalization, Creativity and Decision making. Teaching Aptitude: This section will also contain 50 Questions on Leaderships, Communication and Awareness Sections. General Awareness: 50 Questions in this section which will be based on Current Affairs, History, India and natural resources. Language: 50 Questions will be there in Language section on Vocabulary, Grammar and Sentences. Aspirants should go to official web Page and check for the Previous Year examination PDF file with solutions. Aspirants must practice on previous year exam papers to get idea of exam questions. Various Paper books are also available online which you can download and start practice. In Rajasthan state, PTET Exam is very important to become Teachers. Collect various details from the official web Page of PTET Exam. PTET Admit Card will be declared in May 2018. Aspirants will have to download it for their personal Identity. Candidates if you wanted to download previous year model question papers- Model Test Papers as with books pdf online free then you can download same only by visiting official web Page of MDSU PTET Rajasthan Examination Board. Save latest info and get daily latest updates related to PTET syllabus 2018, Rajasthan PTET 2018 exam here on Postalert by staying in touch with out social media pages.